STOP THE PRESS… and your car, safely!! The average motorist only replaces their tyres when an MOT dictates it. Now, we’re not saying our customers are average (far from it, we’ve got the best around!) – but we do see a LOT of over worn, sometimes dangerous, tyres come through our doors. 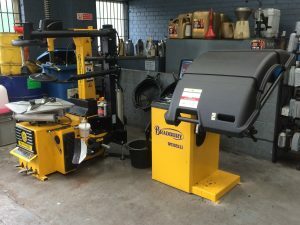 In an attempt to keep our customers safer on the roads and save them the time and hassle of going to a tyre centre, we’ve invested in the latest tyre fitting equipment and trained our staff to fit all makes of tyres in house! 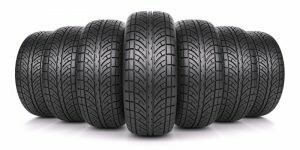 We keep more common tyres in stock and are able to get very fast delivery of all makes should you want something a little special. We’d looked at doing it in the past, but were concerned that we wouldn’t be able to compete with the local ‘tyre only’ establishments on price – having done our homework, we’re very pleased to report that we can and our prices are down there with the best of them. If you need new rubber, or aren’t sure if perhaps your tyres are on the way out, please don’t hesitate to give us a call.